Gaining experience in your career is the only way to grow financially as well as hierarchically. But there is a flip side to experience, and that is- the growing age. 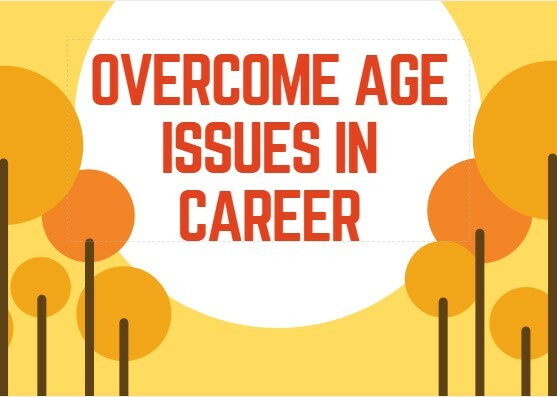 Since not more than 2 decades ago, companies started to incline their interest to hire younger people, making it challenging for the older adults to climb the career ladder. Young people mean young workforce, new energy, enthusiasm and technically updated. Obviously, every job position has an age range and you cannot hire a young college graduate as a CEO. The age ranges are quite stringent and once you start aging out the bracket, it starts to become difficult to get good jobs. A fresher is expected to answer the tricky question of longevity with the company, but you need to answer that in context of future working years. Although no interviewer would ask something like this directly, yet you can sense the nuances of an indication and answer it right. The core here is to show enthusiasm to work and it does not necessarily mean a number (an age). As a senior you have gathered a lot of experience, all those years of moving to different places, switching jobs, working with different industries, managing people, it is a whole lot of experience. You could be a seasoned mentor who could impart knowledge to young people which also shows the inherent characteristic of the role (mentorship) i.e. leadership. As mentioned in the introduction, one of the factors that companies/employers prefer to hire youngsters are they being technically updated. Naturally, this gives an edge to them as compared to aging people. To make sure you are abreast of the younger generation, keep yourself updated with the freshest technology. You don’t mean you have to know in and out of a new technology, all you need to be aware of are, the latest trends. Today, it is not only important to be skilled in what you do, but it is equally important to be updated. In a nutshell, all that matters to fit in the ever-changing, fast-growing job world is, being on a learning curve, leadership skills and being updated. Start inculcating these tips and you would not only cope but pace up with the changing world.